The only ‘hard stuff’ you will find in this box is possibly the most unusual and ingenious problem solving challenge ever created. Can you free the bottle from the puzzle? 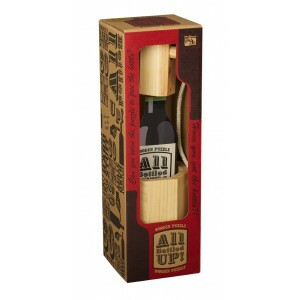 INSTRUCTIONS: Take the puzzle from the box and replace the card bottle with your finest bottle of vintage wine. 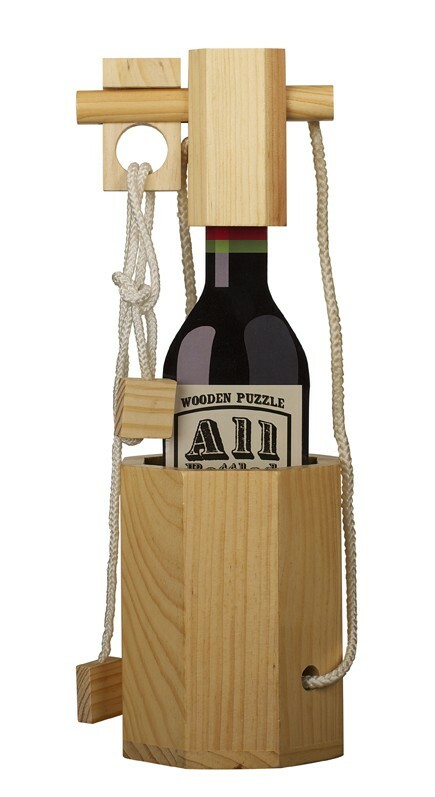 Place the wine bottle correctly in the puzzle by following the instruction sheet provided.Finally, put the bottle and puzzle back in the box and present it as a lovely thoughtful gift!